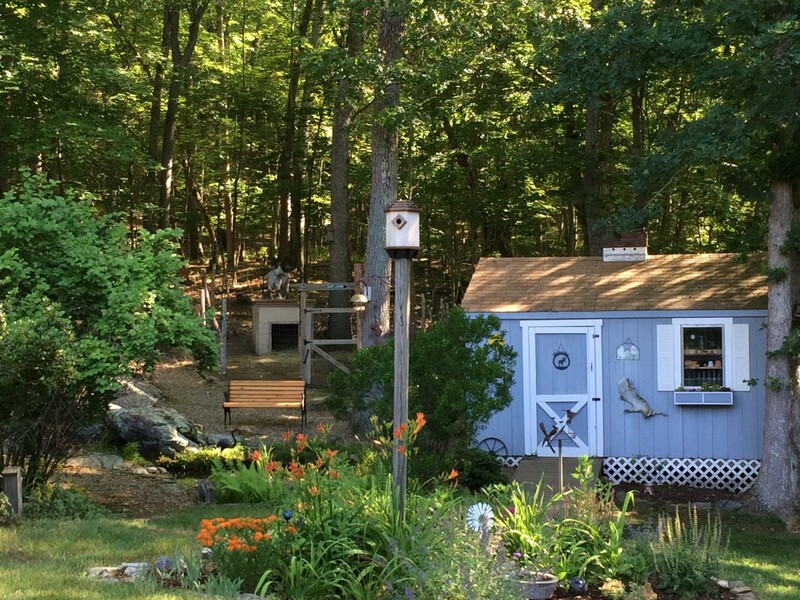 If you love a beautiful garden, there is no reason not to have one all year long. All too often, we see a rush of beauty in spring, tons of color in summer that dribbles off in autumn as the asters and chrysanthemums fade, and trees turning brown in November. Of course, everything looks pretty with a dusting of snow, but for many of us, snow is a rarity. Our winters are dull, drab, and—frankly—depressing. However, there are many plants with interesting shapes and beautiful colors, some which hide their appeal under their own foliage. With a little research and planning, you can create a landscape that gives you visual interest all year long! 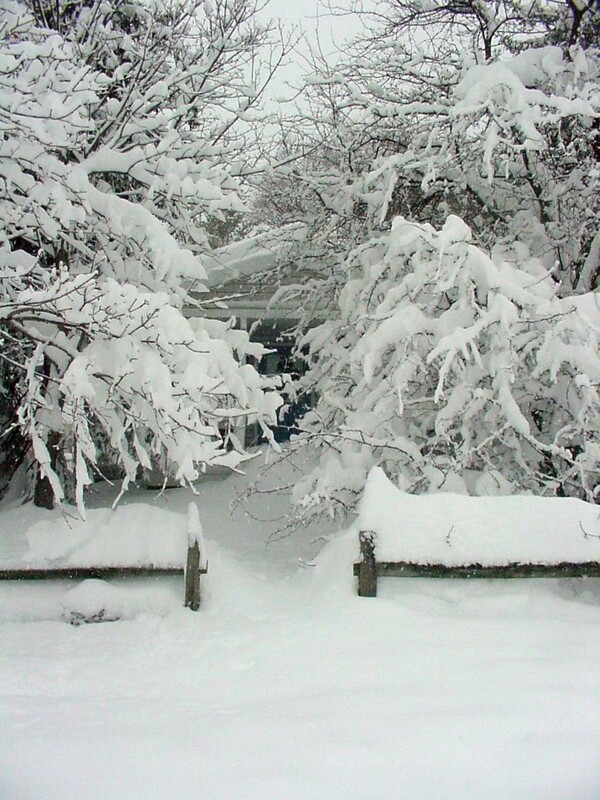 Some of these recommended trees and shrubs look even prettier in the winter, when you can see bare branches that have a unique form or interesting branching pattern. 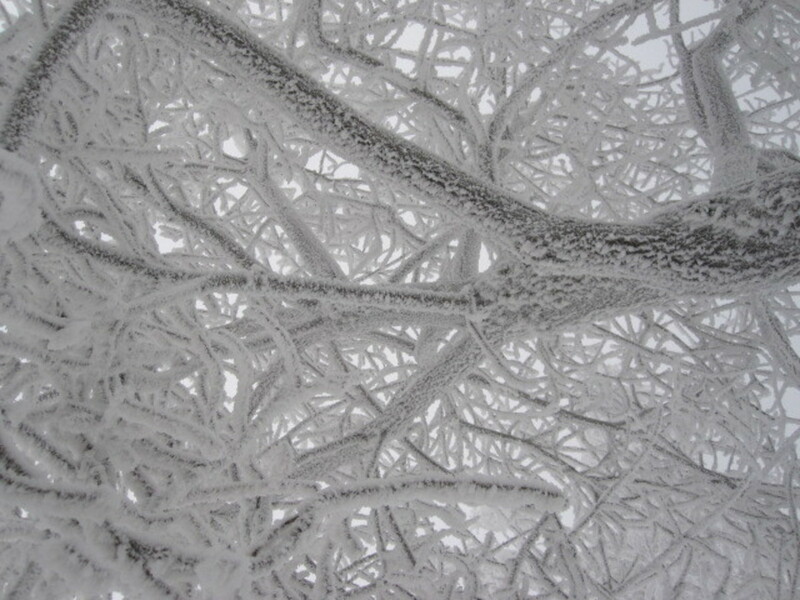 Their forms are nature's own unique sculptures in winter. Evergreens maintain their color throughout the year and give the gray winter landscape a splash of green. They offer shelter and sometimes food for the birds that remain all year long. What could be more beautiful than a fir tree dotted by a vivid red cardinal? Below, you'll find details about each of these plants and information about how to plant a tree or shrub properly. 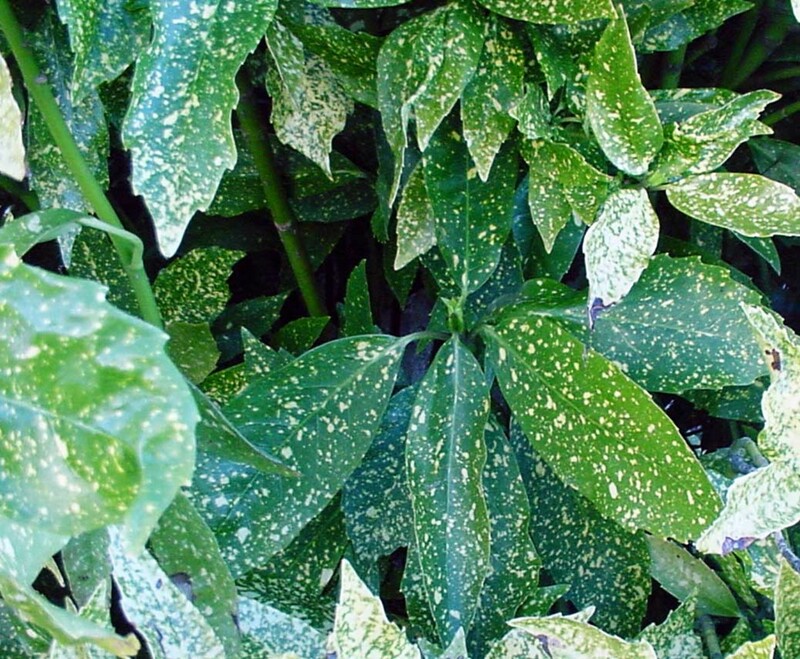 A dense evergreen shrub with ovate, leathery green leaves that are spotted with dots (almost like polka dots) of creamy yellow. Acuba japonica grows 8' tall and 8' wide. Prefers partial shade, but will thrive in full shade. Takes to pruning for size. A tall shrub that can stand in as a tree in a small setting. Trim away low-growing branches to create a tree-like form. Blooms in summer with brilliant, close-packed flowers. It grows up to 20' tall in Zone 7 - 9. 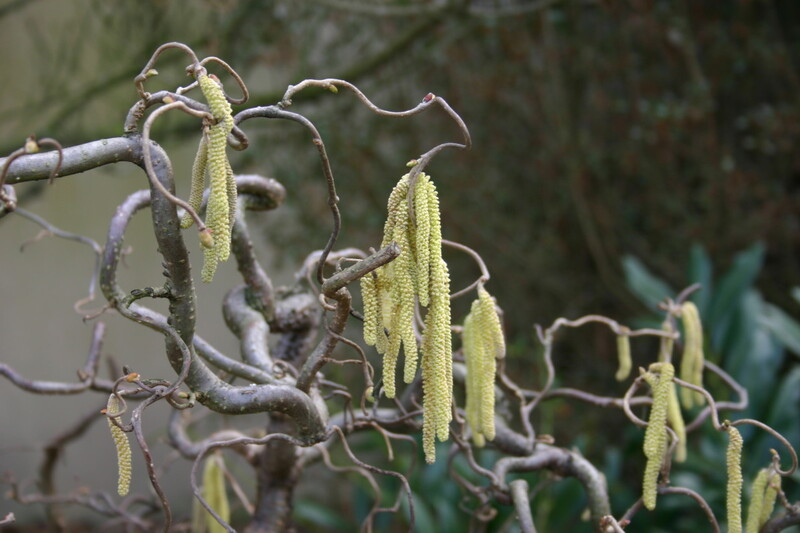 A shrub with broad, oval leaves and long, yellow male catkins in late winter. Harry Lauder was a Scottish comedian known for his contorted cane or walking stick. The contorted form of the branches make for great winter interest. Plant in well-drained, slightly alkaline soil. Crumble some mortar or broken cement to add alkalinity to the soil if you need it. Remove or prune away suckers. A large evergreen shrub of the juniper family with dense foliage that grows in a contorted, twisting habit. It is hardy, drought and salt tolerant, and low maintenance. Grows 10' - 15' tall in full sun. Can be planted close to walls and foundations. Not a bamboo (which is a grass) at all, but a broad-leaved evergreen shrub with delicate, pointed, ovate leaves. Produces beautiful red berries in fall. 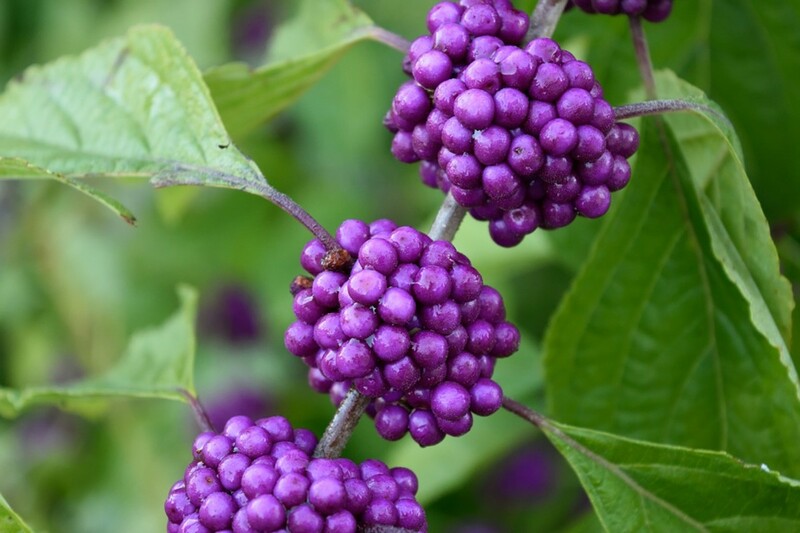 The berries attract birds all winter but can be toxic in large quantities. In one case, cedar wax-wings in Georgia died after gorging on the winter fruit. 3' to 4' tall when mature. Nandina is deer-resistant, hardy, and needs no pruning. Plant in partial shade or full sun. 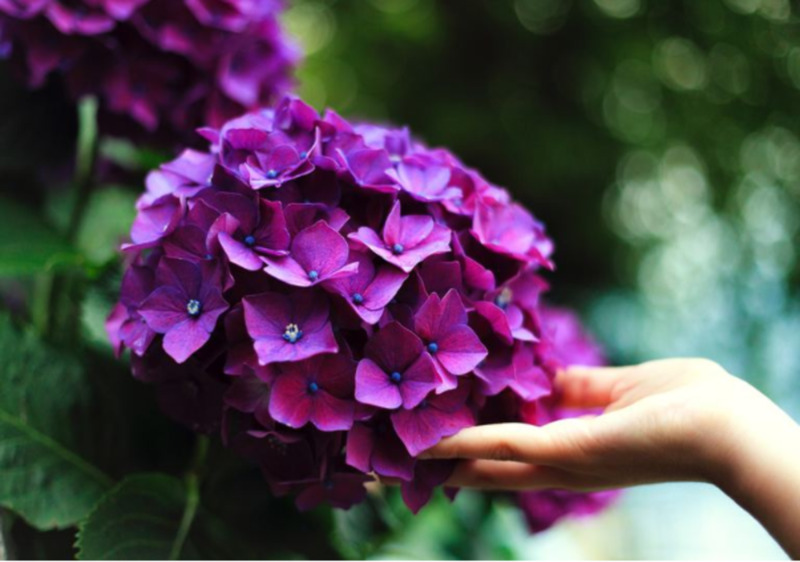 For best color, plant so that the shrub gets morning sun and a bit of shade in afternoons. 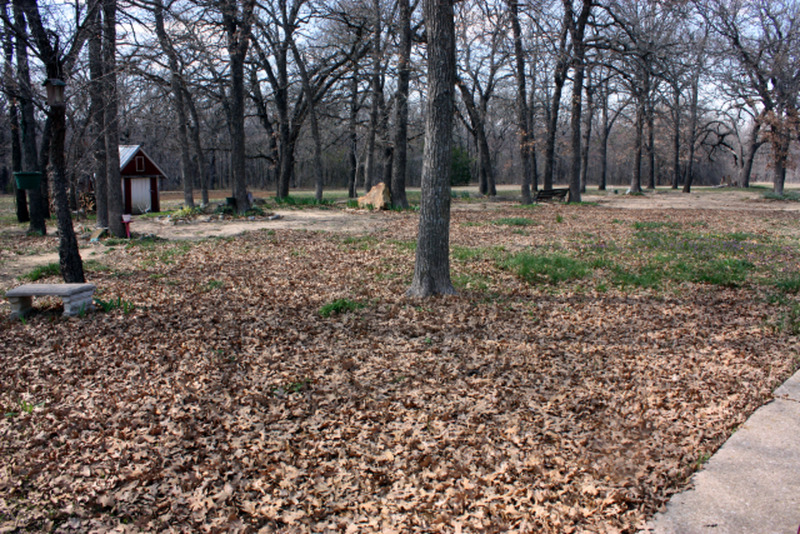 The leaves will die off if the winter gets below 10 degrees Fahrenheit. The canes will die back if the temperature goes below 10 F, but will grow back in spring. The plant is considered invasive in North Carolina, Georgia, Tennessee, and Florida. A shrub that enjoys damp areas with full sun. Offers spring blooms, variegated leaves, and year-long interest. 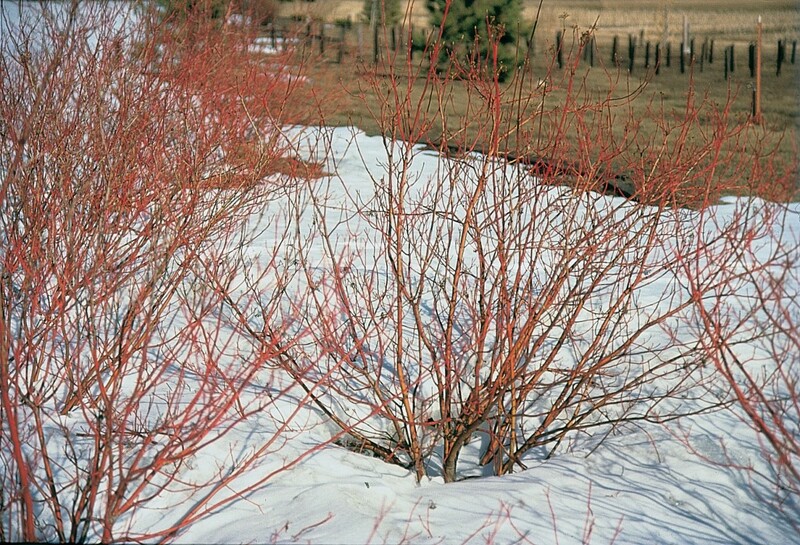 The beautiful twigs that become red in winter provide a brilliant splash of color to the winter landscape. For best winter color, prune out 1/3 of the older branches every third year, in late winter, as the color is most intense on younger branches. 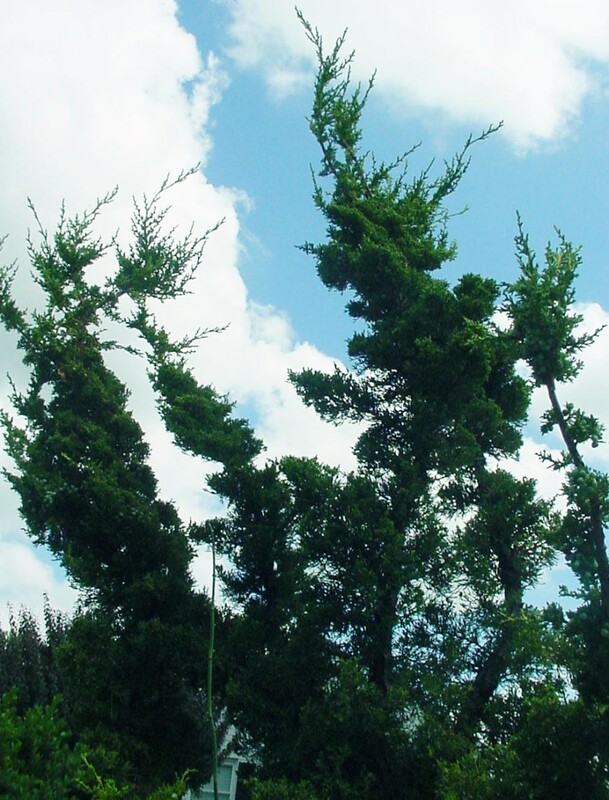 An irregularly shaped evergreen with longish needles that takes well to pruning for shape and form. 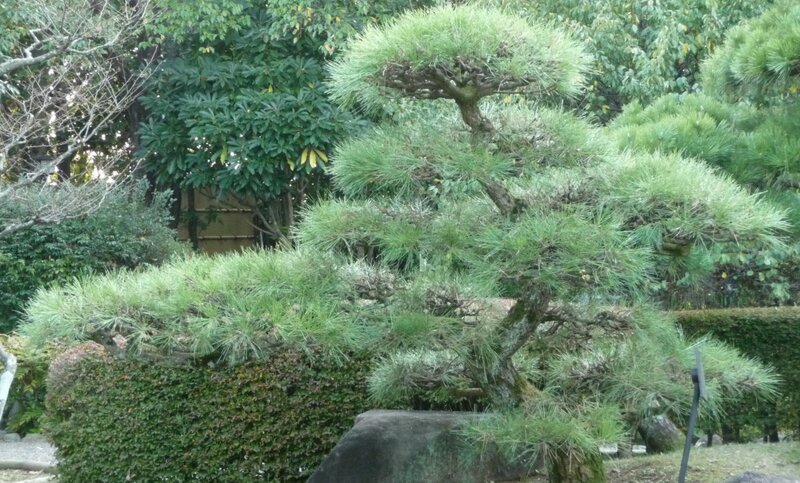 Often featured in Japanese gardens for the versatility of its form. A hardy, small tree, growing to 35' tall in full sun, in moist, well drained soil. 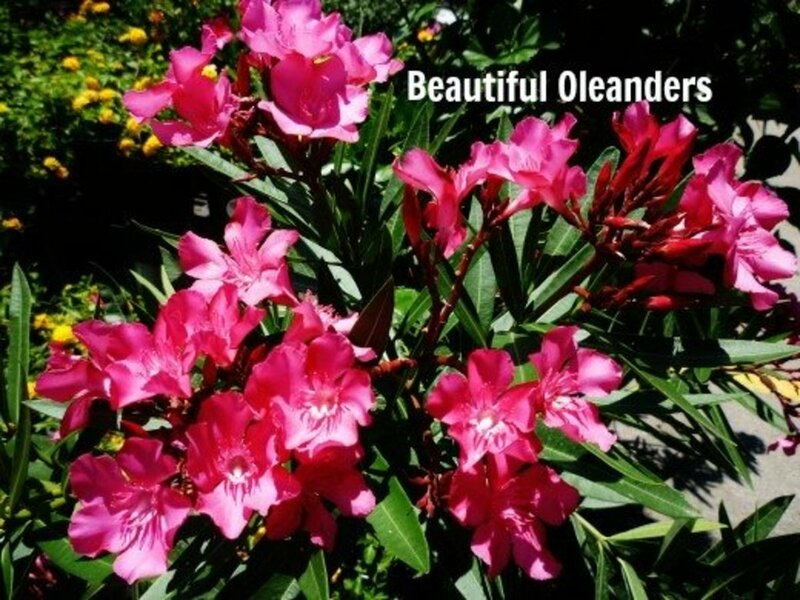 Tolerant of sandy soil and saltwater regions. A relatively small tree with a graceful growth habit that can take on a sculptural quality in winter. There are 400 varieties, some that grow no taller than a shrub. 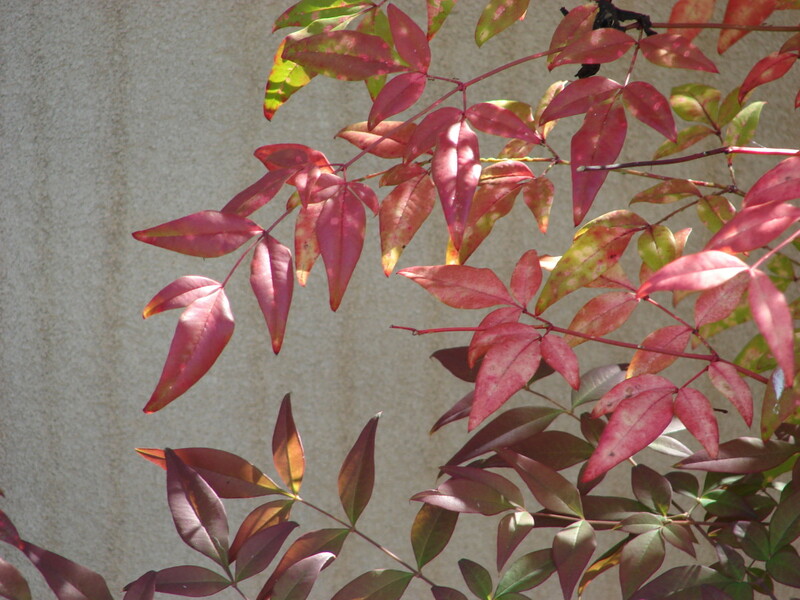 Delicate, deeply cut leaves can be red all summer, or a lovely green or mixed red and green. Leaves turn vivid scarlet in fall. Leaves may scorch in hot dry weather; water to avoid scorch. 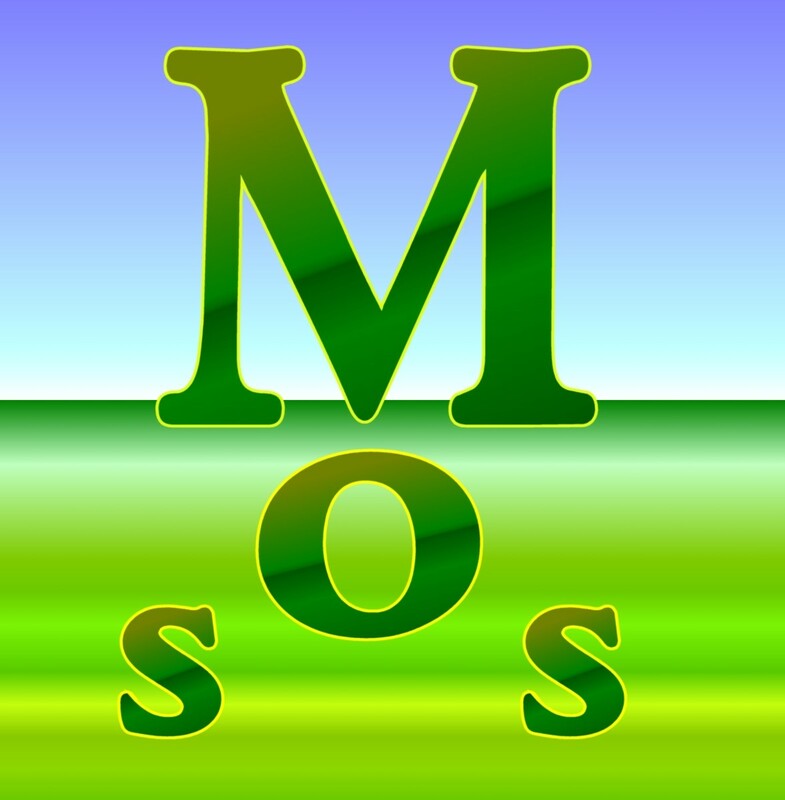 Plant in partial shade, in moist, well-drained soil. A small tree with a pleasant shape that grows 26' tall and 20' wide. 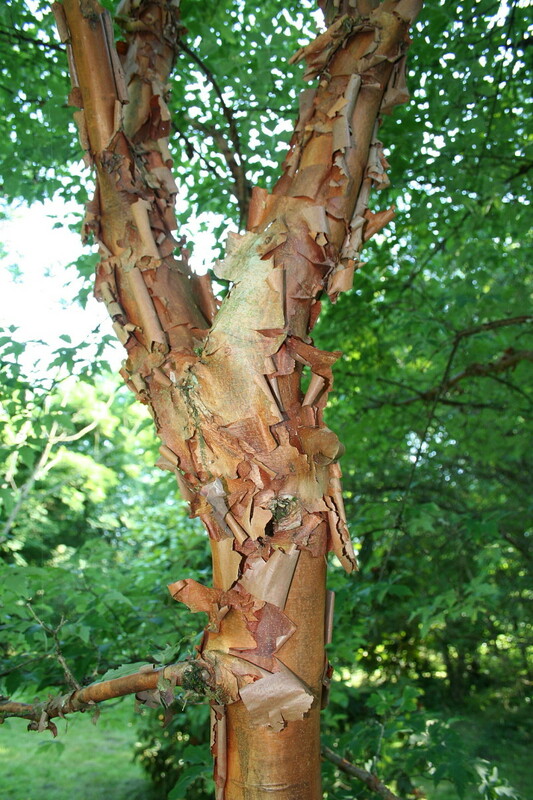 Features attractive buff and cinnamon-colored exfoliating (peeling) bark. Small, yellow flowers in spring, and great fall color. Best planted in moist, well-drained soil in partial shade. Does not tolerate drought in hot areas. Leaves will scorch in hot dry weather, so water to avoid scorch. A massive deciduous tree, growing to a height of 130'. Excellent shade tree that adapts well to urban conditions. 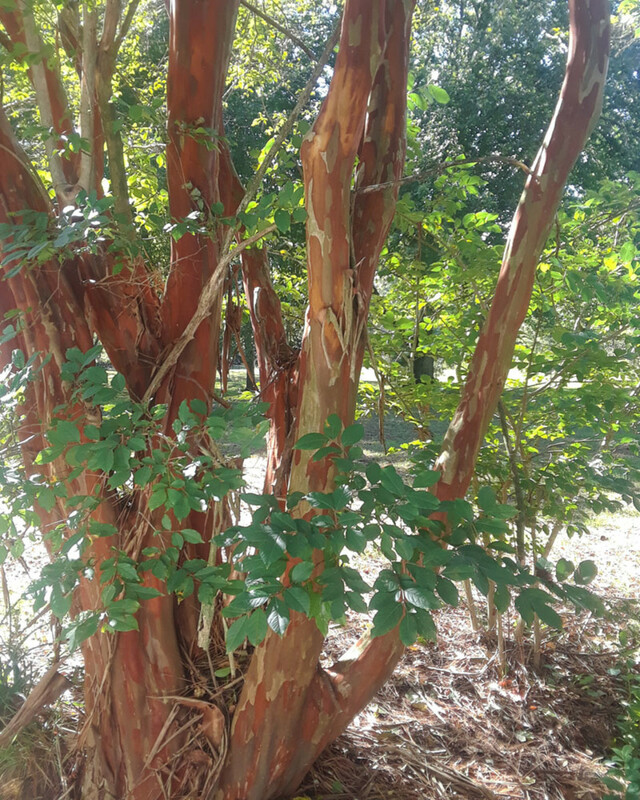 It has a beautiful open growth habit and attractive, exfoliating (peeling) bark that resembles camouflage in green, tan, and cream. It is long lived, fast growing, and prefers lowlands and fields. A tall growing tree, unique and beautiful in the winter landscape. This living fossil was thought to be extinct until found growing in China in the late 1940s. Deciduous yet coniferous and has a pyramidal growth habit with cinnamon-colored bark. 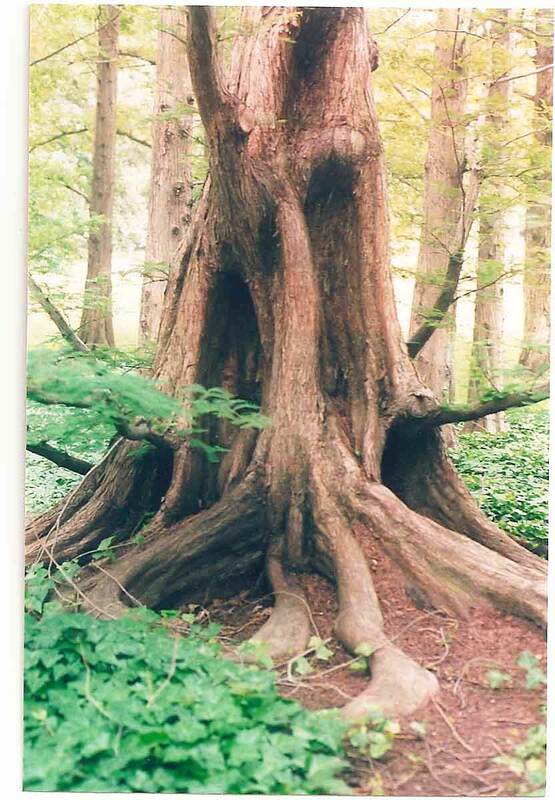 The lower trunk forms deep ripples to buttress the huge tree. 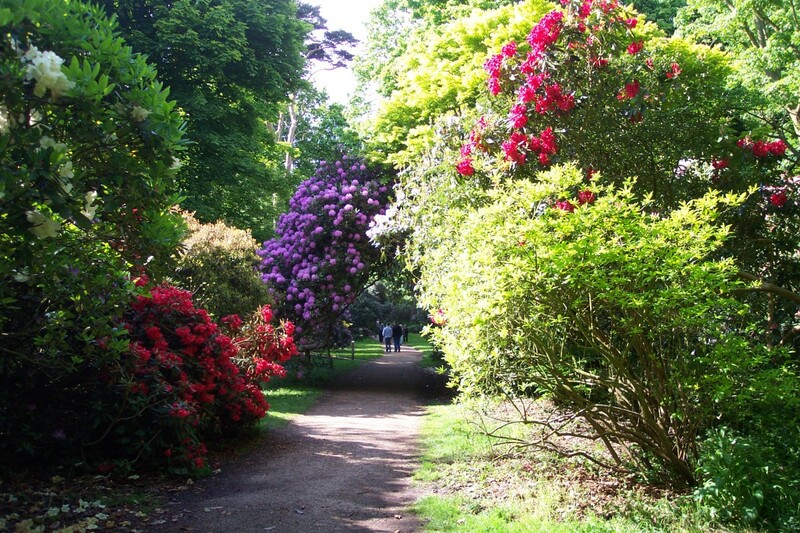 Tolerant of wet soil and urban areas. A densely needled, graceful evergreen tree reaching 40' - 70' tall. 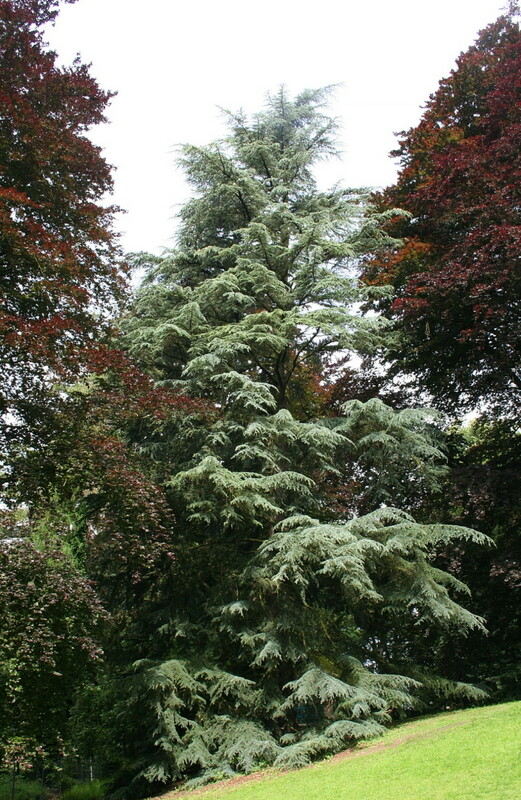 The soft, somewhat pendulous branches and pyramidal shape give deodar cedar a striking affect all year long. Plant in full sun in well-drained to dry alkaline soil. Drought, wind, and heat tolerant in Zone 7 - 10. A stand alone specimen tree. The pendula cultivar is a weeping variety. 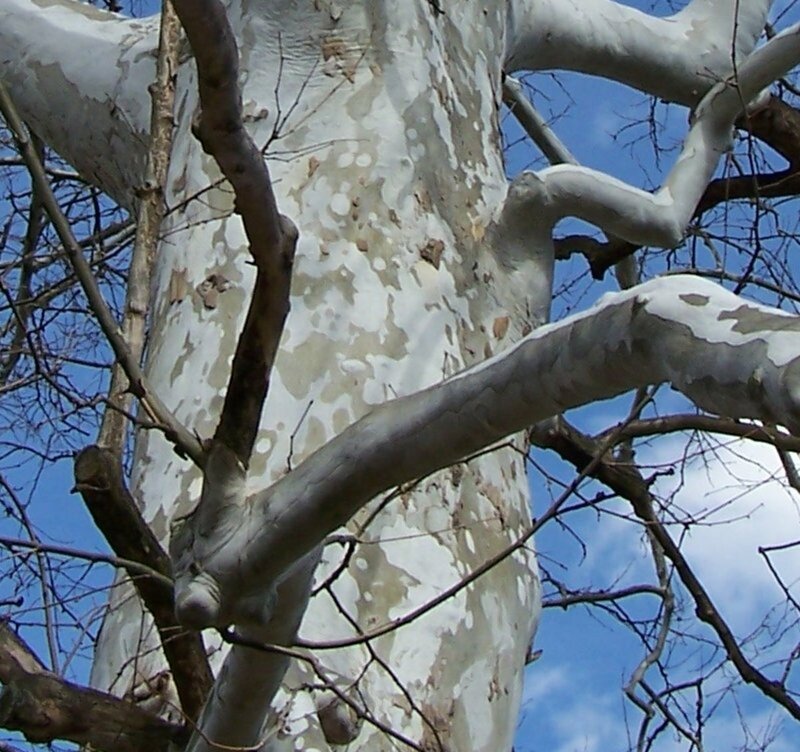 A handsome, remarkable, hardy tree that grows up to 50' tall. 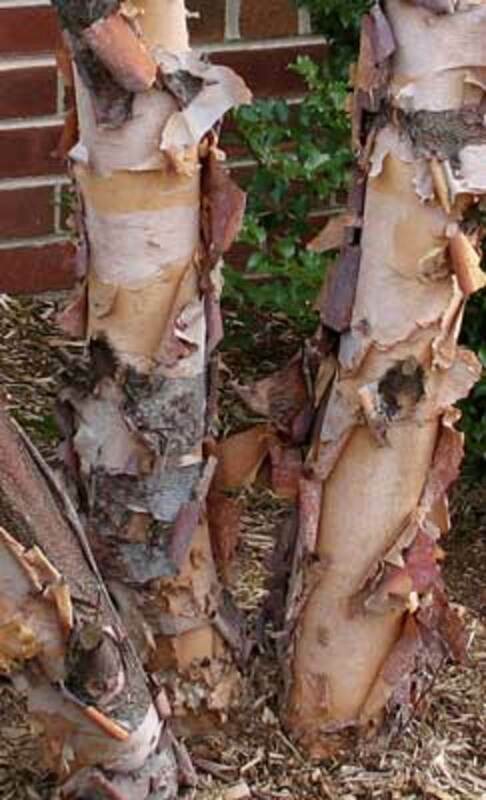 Its beautiful, multicolored, exfoliating bark makes it a distinctive presence in the winter landscape. 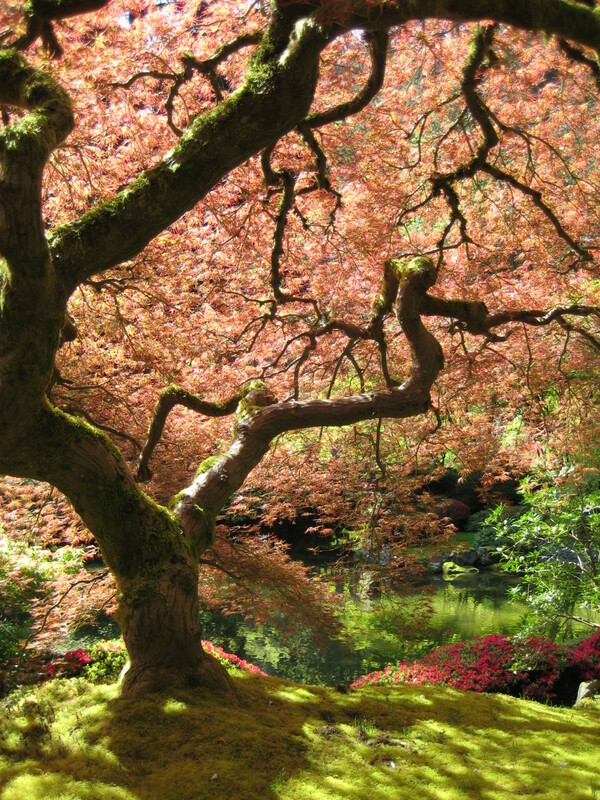 The popularity of this tree make it easy to find in nurseries and garden centers. Tolerates spring flooding, summer drought, and temperature extremes. Trees and shrubs are best planted in spring or early fall. Dig the hole two to three times the width of the root ball or container of the tree or shrub. Leave a small raised area in the center of the hole. If you have heavy, clay soil, score the sides of the hole for easier root growth. Add some compost to the hole. Mix compost or composted manure with the soil that you have removed from the hole. Open the burlap and gently spread it out. If the plant is in a container, remove it from the container. If the roots seemed tightly packed, gently tease them apart. Set the tree or shrub in the hole. Do not grab the trunk, but handle the root ball. Back fill the hole and then water. Mulch. Do not allow the mulch to press up against the trunk. Water once a week for the first year.